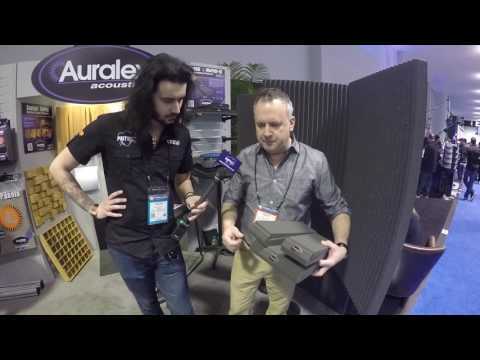 Auralex MoPAD Studio Monitor Isolation Pads When it comes to your mixer, mics, preamps, cables and other gear setups, regardless of how good.. When it comes to your mixer, mics, preamps, cables and other gear setups, regardless of how good a quality you have your loudspeakers are most certainly the most critical component for verifying the quality of your recordings, and unless those speakers are isolated from your environment, then you're not really hearing what your recordings truly sound like. What you really need is something to provide sonic isolation between your monitors and whatever surface they rest upon. That's where the Auralex MoPAD's come in. The most affordable method of helping to isolate and soundproof your studio room. The Auralex MoPAD's are a super-efficient way of helping to neutralise excess low bass frequencies from underneath your monitors and help give you a much cleaner, true signal whilst mixing and making music. They have been designed for use with virtually all types of bookshelf loudspeakers/recording monitors and can support up to 100lbs of weight each. The extraordinarily effective and versatile patented design also allows you to adjust the angle of the speakers accordingly, with 5 different positioning options at your disposal! Adding an Auralex MoPAD to your setup is an extremely cost-efficient way to improve your studio monitors sound without breaking the bank. How does the Auralex MoPAD work? The Auralex MoPAD decreases structural resonance and increases the clarity of your sound. ’Decoupling’ is the process in which you eliminate the bass produced by the vibrations of your studio monitors. The low vibrations are a byproduct of vibrations transmitted by your monitors through the surface they sit on, which can turn your monitors into mini subwoofers almost and add bass to your recordings. This may sound good when you record and playback, but these vibrations change based on surface, room size and volume, meaning that you will never get an accurate song relying on these low frequencies. The Auralex MoPAD works to eliminate the low frequencies produced by your monitors to ensure a crystal clear sound straight from your studio monitors. The Auralex MoPAD supports up to 100lbs of weight from all your studio monitors and playback devices, this is perfect for most small to medium size monitors.